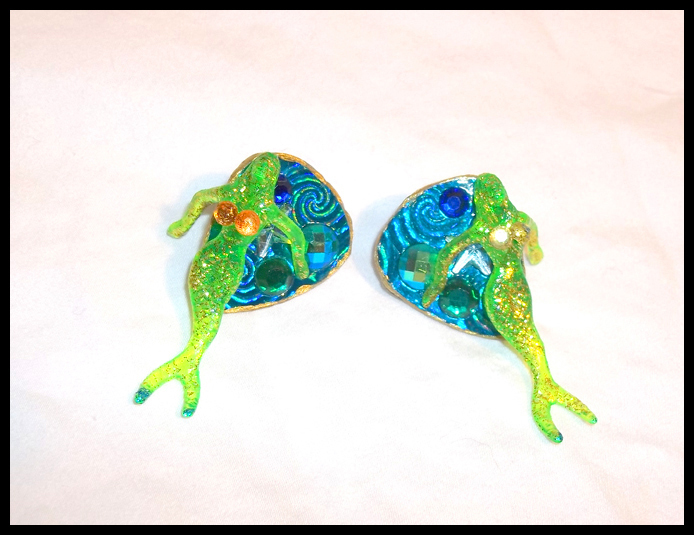 Mermaid and Gems Stud Guitar Pick Earrings! Guitar pick pendants with the Psychedelic Waves pattern covered with gems and green cocktail mermaids permanently affixed to it. Pick has gold paint on the edges. The cocktail mermaids are decorated with glitter and jewel bikini tops.